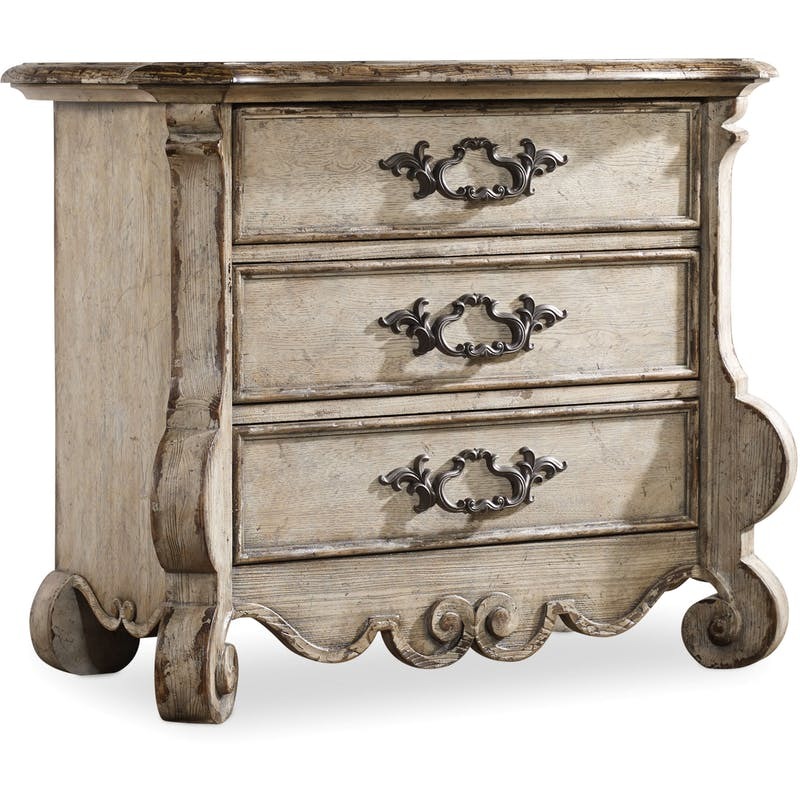 Finish: The Paris Vintage finish is a distressed vintage white with fretwork overlay on select pieces. Custom-designed, generously scaled, burnished bronze drawer pulls and hardware is inspired by antiques. Click here to receive email quote for Nightstand item.